The Horse is yang fire, the charmer. The extrovert, the seducer of the Zodiac, the Horse is rarely caught out despite his high-risk strategy. He has an ego of course but is better able to laugh at himself than for instance the Dragon. Like the Dragon, the Pig and the Rooster though, he can not work with his own kind. The typical Horse is not a deep thinker and his ego can lead him to suppose that no one else is either. Brexit mastermind David Cameron, born in the Fire Horse, may be a good example. There tends to be a belief in shortage at work in the Horse. She thinks he must be the first to the trough if they are to eat. In romance the Horse like the Rooster, can be what Leonard Cohen calls “a thin gypsy thief”. This means his weakness can be a failure to respect boundaries and property. Of all the animals, the Horse and Rooster are typically the marriage breakers and the home wreckers. This is not inevitable of course. If we know this about ourselves we can make wiser choices. Just because today is a good day to die, it is not necessarily a good day to kill. Predictably the Horse is often not great at commitment. The yin and yang of this by the way is that a self-aware Horse is the most constant partner there is; an endangered species by the way. Success matters a great deal to the Horse. He is not generally subtle. It is the winning not the taking part that tends to concern him. The ever-fiery Horse is not keen on water. He experiences this element whether expressed as a Rat year or as excessive communication as a dampener of enthusiasm. Water slows him down but does not halt him. Interestingly the Horse’s charisma is best expressed either in a team with the other Plum Flowers, Rat, Rabbit and Rooster or with the Sheep. You will often find Sheep and Horse out and about together, the Horse radiating charm and the Sheep reflecting it. This actually is a good partnership; the Sheep is in awe of the sheer daring of the Horse and the reckless Horse may often need grounding, safety and a short term loan. Horse places the drinks order for his audience and the Sheep pays the tab; Sheep to the above-mentioned David Cameron was of course his stooge and gopher Nick Clegg. The Horse’s home team all of whom have fire in common, is with the Tiger and the Dog. These are the hunters of the Zodiac: the Tiger kills, the Horse chases, the Dog guards. This support system is the most likely to bring the Horse rewards. On his own he is prone to burn brightly and extinguish early. He’ll have a good time though. The Horse finds the Ox hard work also. There is metal hidden in the Ox which the Horse can turn to his advantage but the Ox’s preferences are so humdrum to him. The Horse has visual, imaginative and intellectual gifts but is unlikely to value them enough to put them to good use. So many of the words we use about the virtue of work illustrate the unwillingness of the Horse to stick at things: harness, yoke, saddle, blinker etc. 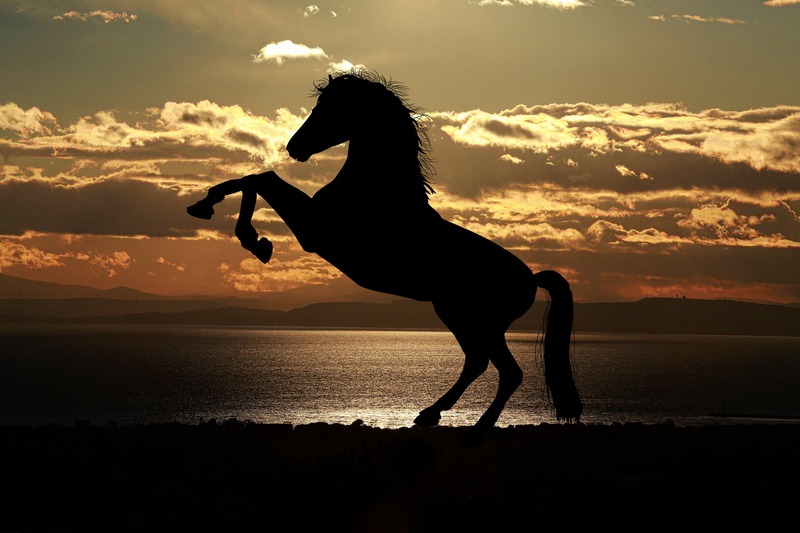 Again the yin and yang is that a Horse once-committed, never quits – think Boxer in Animal Farm. A Horse who works with a Snake may achieve greatness because the Snake understands the Horse just as she understands the Dragon, additionally the Snake will not need to compete. In many ways the Snake is the perfect partner but it is more likely the Snake will recognise this than the Horse. Racing, partying, playing, the danger is burn out. The challenge for Horses far and wide is to defer gratification long enough that there remains a future. Your best month is July when your secret friend the Sheep brings friends around to play. Horses with Water day stems get helpful attention from bosses and make good money that month. If you want to buy real estate in 2019 July could be the time.